Pima County residents were given less than a week’s notice about the “public” meetings about Monsanto, but that didn’t matter. Five meetings took place in the time frame of just 11 days, but that didn’t hold people back either. Grassroots efforts, with help from some of our national non-profit organization partners, got the word out about the meetings, and the community did a fabulous job of responding! All five meetings were very well attended, and a few were packed with standing-room-only crowds. At each meeting, roughly 90 percent of the crowd was against Monsanto, and people came with powerful statements, pointed questions, colorful signs, and a lot of passion! View the photos in this photo gallery from the District 2 (Supervisor Ramon Valadez’s) meeting on Thursday, January 19, 2017. You can click on each photo to see a larger image of it. 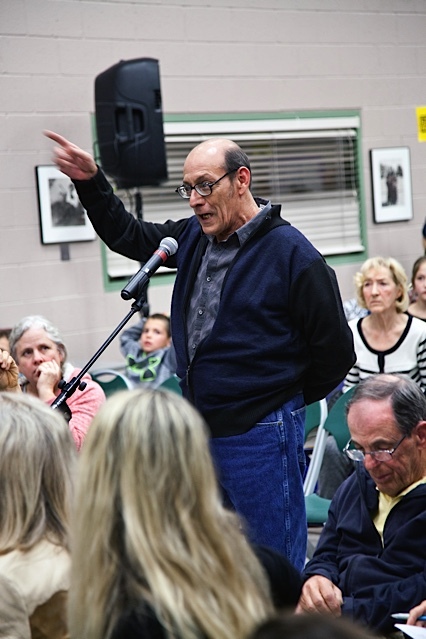 The photo of the large crowd at the meeting was taken by Amira Van Winkle. All others photos are ©James F. Palka. Many thanks to both for capturing the flavor of what went on in the last meeting — a meeting that mainstream media didn’t even cover. 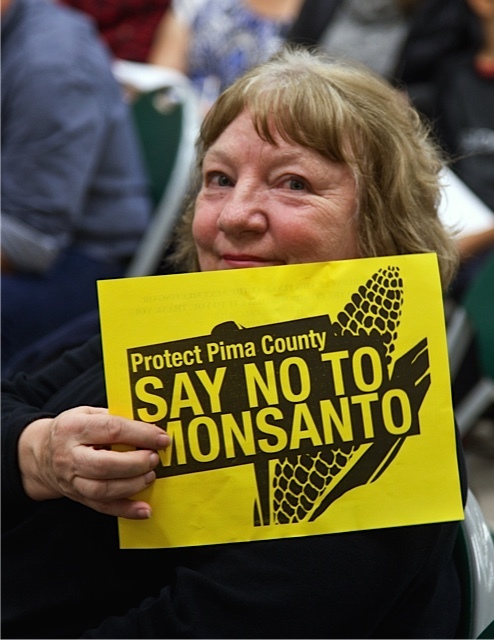 We need this same “Say No to Monsanto” community response at the February 7th and February 21st Pima County Board of Supervisors meetings at 9 am at 130 W. Congress Street!! Please make plans now to come out and join us to give us overflow crowds at these two meetings! The meetings are our times to powerfully stand up to the supervisors, come with creative signs that get the supervisors’ attention, and tell them all the reasons they should say NO to a tax break for Monsanto! Consider skipping school or work for half a day to join people from many different walks of life who want to protect Pima County against Monsanto! Then let’s blow the supervisors away with the amount of people who show up, speak up, and say no to Monsanto!! Need to get up to speed on Monsanto’s plans in Pima County and on what we can do about them? 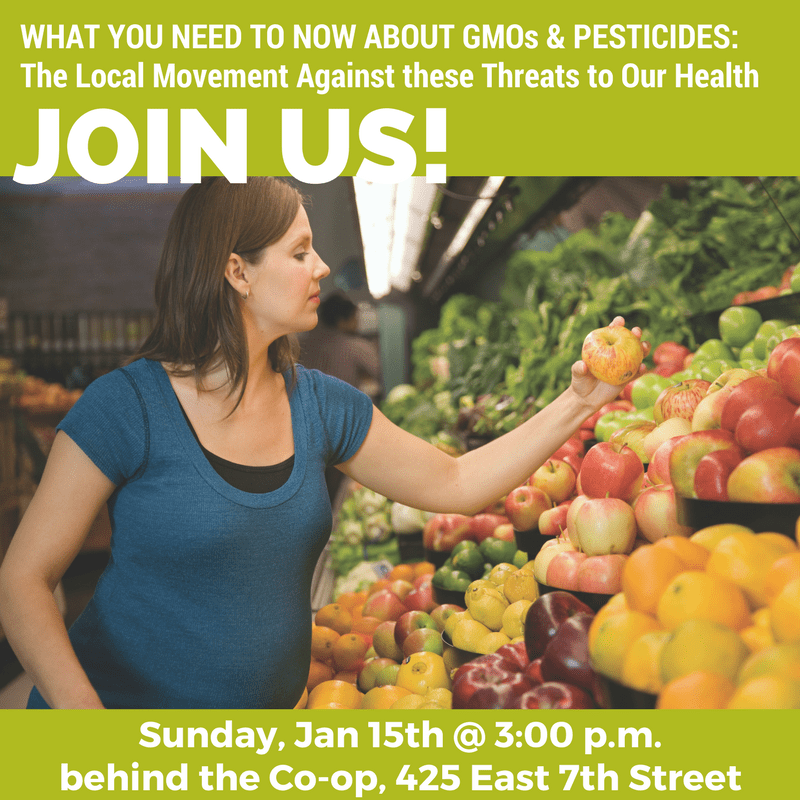 Be sure to attend “What You Need to Know about GMOs & Pesticides: The Local Movement Against These Threats to Our Health” at the Hoff Building at 425 East 7th Street (behind the Food Conspiracy Co-op) this Sunday, January 15, at 3 pm. It will be the first info session on this topic in the 4th Avenue area of Tucson, and the last information session before public meetings about Monsanto in Pima County take place for Districts 3, 5, and 2 next week. 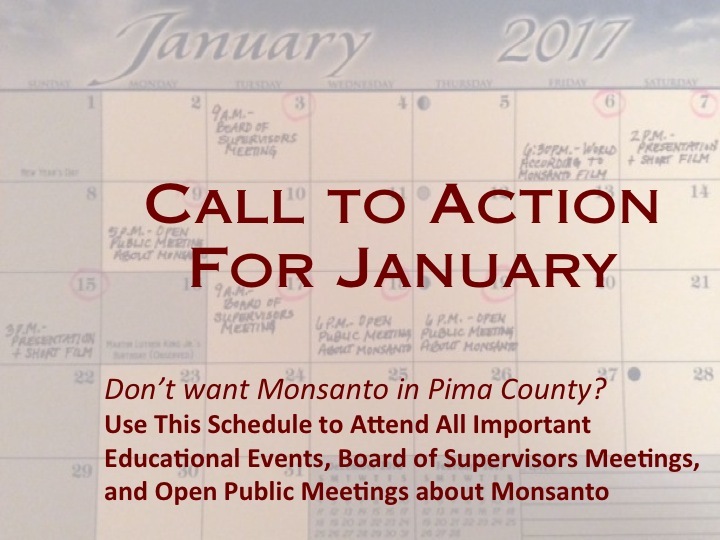 Three more district public meetings about chemical giant Monsanto’s plans to develop property in Pima County for the purpose of developing experimental corn with experimental chemicals will take place January 17-19, 2017. 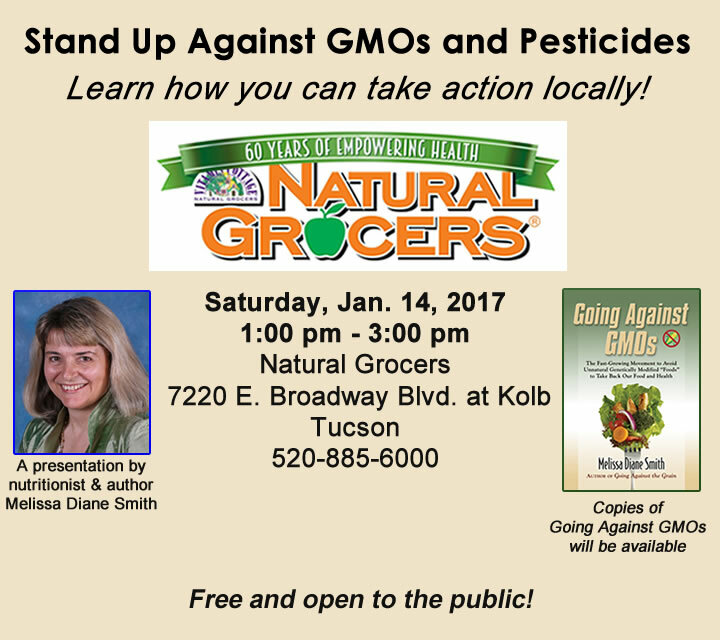 Learn what you need to know in preparation for the meetings at a “Stand Up Against GMOs and Pesticides” presentation at Natural Grocers on Saturday, January 14, 2017, at 1 p.m. This will be the first info session on this topic on the southeast side of town. Pima County/AZ Citizens & Visitors! It’s the new year, and it’s time to hit the ground running in a full-court press against Monsanto establishing a facility in Pima County. If you don’t like the idea of Pima County rolling out the red carpet for a chemical corporation that has a notoriously bad record in the communities it takes hold in, be sure to attend as many events and meetings as you possibly can this month and make your voice heard against the outrageous idea of Pima County giving a tax incentive to the corporation.